Glass bottles? 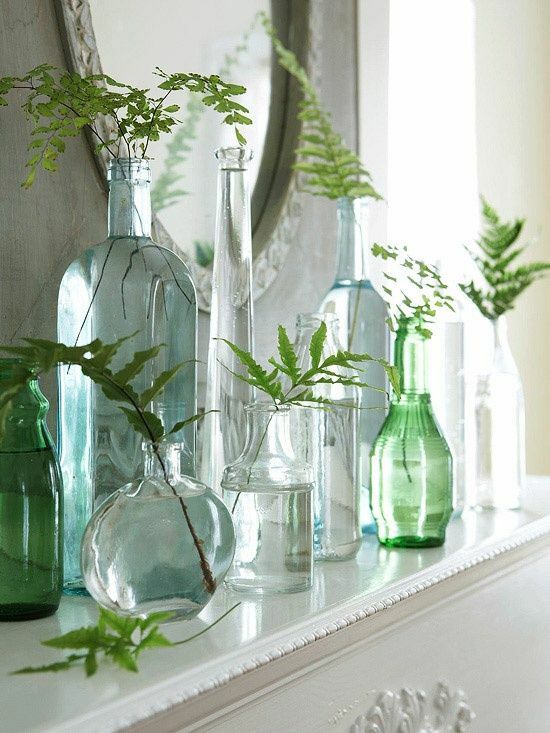 Maintain a store wardrobe of good fake ferns, tulips, or even painted branches to use as props. With a display like this, you’ll sell 5 or 7 bottles at a time! Kudos to Attic Fanatic Consignment! Probably the worst-selling furnishings are those bulky armoires we used to put bulky TVs in. Seems like everyone wants to get rid of them and no one wants them. Maybe you could change that up a bit? Tell ’em! Print out some good photos of repurposed armoires, put them in clear binder sheets, and display on, in, or around any armoires you have. Have handy any tutorials on Youtube you can find to share with your clientele. Before-&-after shots help potential buyers see… the potential… in an old armoire. Check out TGtbT’s Pinterest Boards for more ideas. A repurposed thrift shop armoire might make a good play area in a kids consignment shop. TGtbT.com says to simply close the doors when it’s not being used. (and of course, hang outfits for display on those closed doors…). Use an armoire in your social media to create excitement and spur visits to the shop. Use an armoire for display and to set the ambiance of your business. Use an armoire to store supplies and keep your intake area client-ready. What uses have you seen for old armoires? Tell us in the comments! 1: What’s the biggest stumbling block potential suppliers have when they want to consign furniture to your shop? Answer: The cost/ effort of getting the piece to your place! 2: How can you motivated those who are buying something, to turn around and consign something? Answer: Offer them an irresistible deal on getting the piece to your place! Cool solution, huh? Especially if your drivers/ truck are coming back empty. 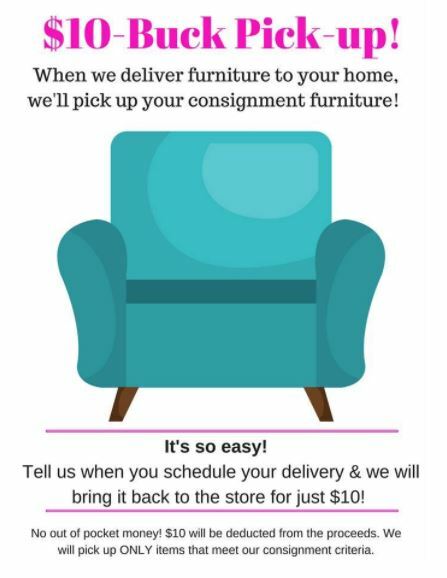 I believe kudos are due to Home 2 Home Consignments in Dayton OH, but the graphic isn’t branded, so I could be wrong. This post is the fourth in a week-long series of Kudos, ideas to inspire gathered from consignment, resale, & thrift shops that you might adapt or alter for YOUR business! Kudos Week is offered by TGTbT.com, the Premier Site for Professional Resalers, in celebration of International Resale Day, July 18. See more Kudos posts here. Visiting other shops is often like opening a little jewel box full of ideas. The program was part of a September 2016 competition that was featured in local TV and which won a national award. Consignment and resale shopkeepers often dream of having interns from local schools lend them a hand in their shops. But the logistics can be baffling.